A 91-word sentence of legal mumbo jumbo in LinkedIn's terms of service, says the social network has permission to do whatever it wants with your stuff. Voice a great idea? An groundbreaking invention? The company can just take it. The company has permission to claim anything you share on the professional networking service -- even indirectly -- and change it, share it or profit from it. That even applies in ways that haven't even been discovered or invented yet. Talk about an open-ended contract. 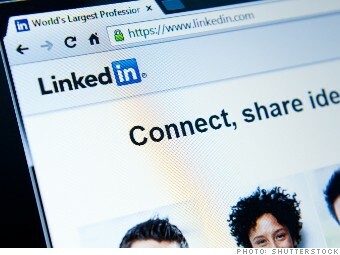 One employment lawyer cited it as the reason she killed her LinkedIn account. When asked about the clause, LinkedIn (LNKD) said it reserves those powers -- but it doesn't intend to use them. "Even though our content license grants us broad right to use member content, it is not a right we exercise to its fullest extent. Our practice has always been that we ask members for their permission first before we use their content in an ad," the company said in a statement.